The current rally in Indian stock markets has taken Nifty from 2,573 on March 09 to 4,587 on June 05. And behind this surge too is a range of mid-cap stocks. The benchmark index for mid-cap companies CNX Midcap closed at 5,682 on last Friday, a whopping 94% up from March 09. 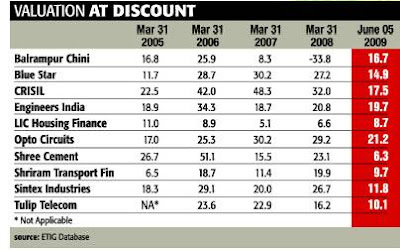 ET Intelligence Group went about the job to make a choice of best mid cap stocks to buy easier. These companies passed through a three-step screening process, to zero in on the 10 best mid caps stock picks. The first level involved selecting companies that have posted a minimum of 20% growth in net sales and net profit in last few financial years. This was to make sure that their financials justify expected rise in their stock prices. In the second round, we filtered them on the basis of capital employed (RoCE), a crucial metric when it comes to making your final decision. A company can grow at high rates, but if it yields a low return despite that growth, then it is of little value. Hence we weeded out those without at least a 20% return on capital employed. At the last stage, we analysed the current and historical valuations (price to earning multiple). This is to make sure that the stock prices have already not risen to high levels, thereby limiting the chances of further gains. Also it was made sure that the Top 10 mid-cap stocks thus selected should not be all cyclical. Hence there are stocks in this list like CRISIL, Engineers India Ltd and Opto Circuits, which are one of the least cyclical stocks. CRISIL , a market leader in research, rating and advisory businesses in India, also offers services like bond rating, rating for bank loans and industry reports. On the government side, it has an advisory segment, which helps agencies in infrastructure, policy and energy. Its business is less prone to the health of corporate India because most of its research products are subscription based. Engineers India provides engineering and technical services to petroleum refineries and other industries like highways and bridges, IT, airports, and ports and terminals. The company is likely to gain significantly from huge investments planned by the government in the oil and gas sector. As on March 31, 2008, the company had Rs 1,270 crore of cash in its balance sheet. This translates to cash per share of Rs 226 and accounts for more than a quarter of its stock price. Opto Circuits is engaged in manufacture and export of invasive and noninvasive medical equipment like sensors, pulse oximeters, monitoring systems and stents among others. The company is a major supplier of sensors to large original equipment manufacturers. The company has used the inorganic route, especially overseas acquisitions, to grow at a rapid pace in the past few years enabling it to expand its product portfolio as well as enter new geographies. With its niche products, reach in foreign markets and aggressive growth, the company presents a promising growth story. Then come stocks that are more prone to the ups and downs of economy. However, ‘more’ does not imply that they are like crude oil, which came down from $147/bbl to $32/bbl in five months. It just indicates that the slowdown in economy is expected to have some bearing on their performance. These include stocks like Tulip Telecom, Shree Cements, Sintex Industries, Blue Star, Shriram Transport Finance and LIC Housing Finance. Tulip Telecom provides solutions in the space of corporate data connectivity and network integration. It caters to both government and corporate sector and has a strong client base across both the segments. Tulip has undertaken capital expenditure to strengthen its presence in the VPN (virtual private network) space. It is laying fiber optic network to provide high bandwidth last mile connectivity to its enterprise customers in 10 major cities. This along with government’s thrust on rural connectivity is expected to keep Tulip’s growth momentum going. Shree Cements is one of the fastest growing cement companies of India. Its net profit has jumped by over 20 times in last four years. Its plants are at one location, which helps in reducing overheads and makes it one of most efficient cement producers in the country. The company now plans to invest Rs 1,000 crore in capacity expansion in a year’s time. The stock has almost doubled since the start of current rally but historically speaking, it is trading at very low valuations. Moreover, at current valuations, it trades at huge discount from the valuations of larger players. Sintex Industries is a leading manufacturer of plastic products which includes pre-fabricated building materials, monolithic structures and custom moulded products. It has already acquired seven companies in a short span of 2 years and is currently looking out for more. Its pre-fabricated building materials and monolithic construction material are finding great demand in low cost housing projects and rural schools or healthcare shelters. Blue Star is one of India’s leading manufacturer and supplier of air-condition and climate control equipment. IT ALSO manufactures and markets a range of commercial refrigeration products and services catering to the industrial, commercial and hospitality sectors. The future of this company depends upon the performance of industries like financial services, construction, IT, ITES, hotel, healthcare, infrastructure such as airport. Most of these industries are expected to grow at high rates if Indian economy continues its growth trajectory. The company is far ahead of its competitors in terms of cash flows, as it has reported 60% CAGR in net cash from operations in the last four years much better than earning growth. Moreover, it has a track record of sustained high dividend payouts unmatched in the industry. Shriram Transport Finance and LIC Housing Finance are by far the most insulated companies in the banking and financial space. If there is one mortgage company to reckon with in India after the behemoth HDFC, it is LIC Housing Finance. The mortgage players are prone to slowdown to a certain extent as housing is a fundamental need and house-ownership levels are low in India. LIC Housing Finance has grown its mortgage portfolio by 23% per annum in last three financial years. Growing at even higher rates is Shriram Transport Finance, which posted a CAGR of 47% in its assets under management in same period. The company provides finance for the purchase of used commercial vehicles. This makes it insulated, as unlike new commercial vehicle segment, which is highly cyclical, the demand for this kind of financing depends upon exchange of existing commercial vehicle and not capacity expansion. One stock, which stands out as an odd man in this list, is Balrampur Chini. It is one of the largest and most efficient sugar manufacturers of the country. Its financials for the past two years may not be encouraging, but ETIG reckons that sugar as an agricommodity is one of the most cyclical industries. The reason why we are recommending this stock is because the outlook for sugar prices is buoyant as of now. Therefore, sugar companies are expected to do well in the course of next two years atleast. It also has diversified into alcohol and power generation, which together accounted for around 30% of Balrampur Chini’s revenue in March’09 quarter. These segments will help the company in tiding over the slowdown. Mid-cap stocks tend to be more volatile than large-cap stocks. However, the volatility is more in stock price than in fundamentals. Care was taken to select the best stocks, with robust fundamentals. So, even if they get beaten in a stock market downtrend for some months, over long period, they are expected to bring gains to investors.